At the recent IFA conference in Berlin, 8K TVs were prominently on show from the likes of Samsung, LG, and Sony. Sharp also had its 8K technology at the event. According to Engadget, the Japanese giant will release a satellite receiver box in November to capture NHK’s Super Hi-Vision 4K/8K broadcasts, which begin on December 1. It was back in 2016 when NHK first started testing Super Hi-Vision broadcasts during the Rio Olympics—preparation for the 2020 Tokyo Olympics, which it hopes to broadcast in 8K (7680 x 4320). 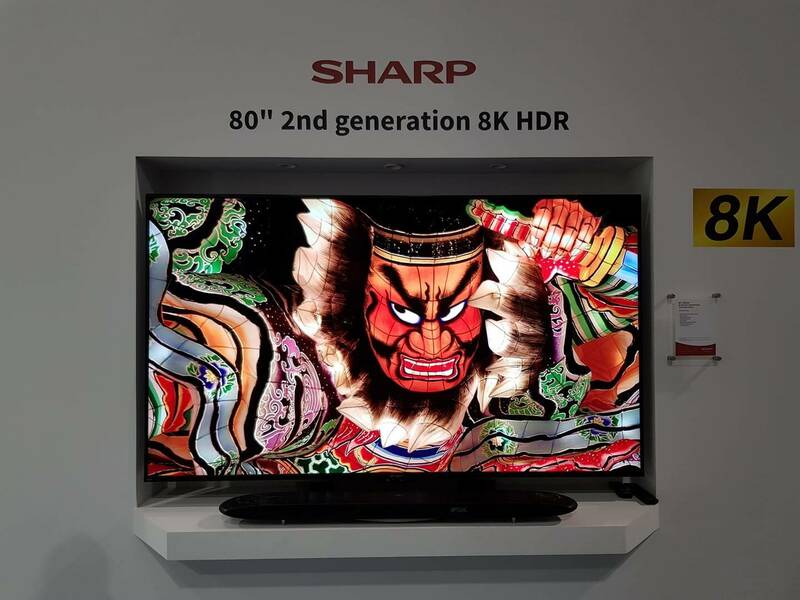 We still don’t know how much Sharp’s 8K receiver will cost, but we do know it connects to the LC-70X500 Aquos 8K TV via four HDMI cables and a software update. That’s because HDMI 2.1, which allows a range of high resolutions and fast refresh rates including 8K@60Hz and 4K@120Hz, isn’t yet supported in TVs. The 70-inch Aquos went on sale in Europe last April with a price tag of around $13,779. Samsung was another company really pushing its 8K televisions at IFA. The beautiful Q900R series, which uses AI and machine learning to improve upscaling capabilities, was one of our top picks from the event. As for when 8K broadcasts will come to the US, expect a very long wait. Somebody needs to wake up the crowd responsible for updating the video cable standards, before 16K is out and we have to use 16 HDMI 2.0 cables. Call it a bad guess or my gut instinct, but I believe you will see fiber optic video cables in the next few years. That’s because HDMI 2.1, which allows a range of high resolutions and fast refresh rates including 8K@60Hz and 4K@120Hz, isn’t yet supported in TVs. HDMI 2.1 is not that far off. There are "compatible" devices on the market ATM, with devices that will likely have a full implementation of HDMI 2.1 likely next year. Anyway, that's what Sharp gets for pushing the limits of the curve.